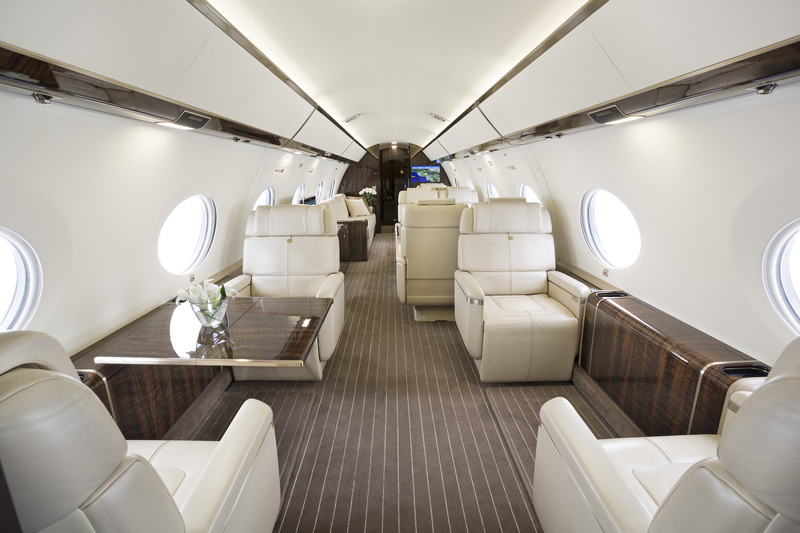 The ultra luxurious G650 business jet was launched by Gulfstream 2012 and highly anticipated. The aircraft hit the sweetspot, balancing speed and distance with luxury and price with such accuracy that Bloomberg called the G650 “Gulfstream’s holy grail of private jets”. The cabin is more spacious and comfortable than you will find in any other business jet featuring a longer living area, seats with more space and recline, larger galleys and more storage. The cabin provides a silent environment for natural conversations and business meetings and the aircrafts 16 cabin windows ensures an inflow of natural light. It is, however, its performance that has impressed the most as the new Rolls Royce engine powers the jet close to the speed of sound. Fuel burn levels are comparable to smaller aircrafts so the range has been increased whereas noise and emissions have been reduced. The pilots are equipped with state of the art technology systems providing enhanced vision for awareness and safety. And as it weighs less than 100,000 punds which is the cutoff weight for some important airports.